No one wishes to sustain a personal injury. Much of the time, even the tiniest of injury can lead to costly medical expenses as well as life-long complications. For those of you in the Lake Zurich area who have sustained personal injuries, you need to understand that it will be to your best benefit to call Lake Zurich personal injury attorneys today. Professional lawyers can assist you with the legal matters of your case, allowing you to focus on what’s really important, which is your recovery. Contacting a personal injury attorney today can improve your chances of getting every penny that is owed to you for the injury that you have incurred. If you don’t file a claim within so many days after your injury took place, you terminate yourself from being able to acquire any compensation at all. It is of the utmost importance that you contact a personal injury lawyer now. The Lake Zurich personal injury attorneys at Rosenfeld Injury Lawyers LLC represent residents and visitors of Lake, Zurich Illinois who were injured at work or in an accident. Have the negligent actions of others led to severe injury or wrongful death of a loved one? If so, you have legal rights and options to pursue compensation for your damages. We invite you to speak with our attorneys today during a free case review. We accept every claim for compensation and lawsuit through contingency fee agreement. This arrangement postpones your payments for our legal services until after your case is resolved in a jury trial award or through a negotiated out of court settlement. Our legal team offers every client a “No Win/No-Fee” Guarantee. This promise means if we cannot obtain compensation on your behalf, your family will owe us nothing for our services. Whether it be your insurance company or the company of the person responsible for your injury, you need to realize that both companies are in the business of making money. Many times, they will be motivated to give you only a fraction of what is really owed to you. Even when it comes to your medical expenses, they may not want to cover all of them when in reality they should have to pay. Any time you speak with insurance companies, there’s a good chance that your conversations are being recorded. Adjusters and insurance investigators will often use these recordings in the court of law against you. To overcome the problematic issues that insurance companies can bring about, the best thing you can do is allow an experienced personal injury attorney handle all communications that take place with the insurance companies. Tip: As contrary as it may be to what you’ve been told in the past, when an accident first takes place, it is a lawyer that you need to contact; this person can then contact your insurance company for you. When it comes to personal injuries, there are many types. Some people are more susceptible to certain types of injuries. For example, a person who is taking prescribed medications will be more susceptible to injury from a dangerous drug than a person who takes no medicines. Let’s go ahead and take a quick look at several types of common personal injuries. Car accident: This tends to be the most common type of personal injury. 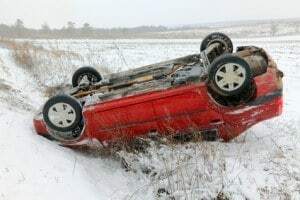 To make sure you are protected financially from this type of injury, every driver in Illinois is required to maintain at least liability insurance. Defective product: When you purchase a product and use it as it was intended to be used, if something happens and an injury occurs as the result of normal use of the product, then the injury would be classified as a defective product injury. Dangerous drug: You’ve probably heard lots of TV commercials advertising the recall of certain medications. If you are injured as the result of taking a medication, you will likely qualify to file a dangerous drug injury claim. Slip and fall: Slip and fall injuries can take place anywhere. From your workplace to the local grocery store to your home, the location where the incident occurs is what determines whose insurance is responsible for paying compensation. Someone’s negligence: People are required by law to act in a mature and reasonable manner. If they don’t and they cause injury to you, then you will be able to file a personal injury claim and obtain compensation from the person who is at fault. If you’ve been injured due to someone else’s negligence, you deserve excellent legal representation. The experienced Lake Zurich attorneys at Rosenfeld Injury Lawyers LLC can help you gain the compensation you deserve.